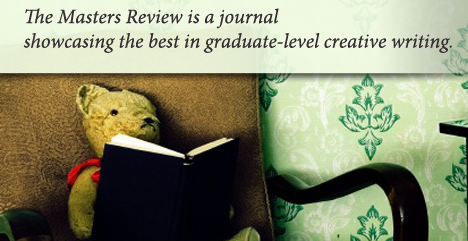 The Masters Review is a new literary journal showcasing the best in graduate-level creative writing. Each year, their editors and judges select the ten best stories submitted by writers in MA, MFA, and PhD creative writing programs. Their aim is to expose the field's top emerging writers by publishing progressive, diverse, and well-crafted fiction. The Masters Review is an annual publication with a submission deadline of December 31, 2011. Twenty-five stories will be selected for their shortlist, with the top ten stories from that pool published in the spring. good article . I just stumbled upon your blog and wanted to say that I have truly enjoyed browsing your blog posts. In any case I’ll be subscribing to your feed and I hope you write again soon! Great way to write, seems I was reading a novel, I loved it at the moment where everything is so technical and the world is in full swing there is nothing better than reading articles like this, to give us a break and go on with our daily tasks . Excellent. Guest judge Lauren Groff wants all the writers to use their hearts when they write just like writing UK essays. Writing should be that way. That's pretty cool! This post carries a handsome and knowlededgeable information. I think it will be appretiated to everyone. Nice information, many thanks to the author. It is incomprehensible to me now, but in general, the usefulness and significance is overwhelming. Thanks again and good luck! This site is excellent and so is how the subject matter was explained. I also like some of the comments too.Waiting for next post. I am fully agree with your given article information. I really admire to this nice blog to post this superior post. Good Article About "Introducing... The Masters Review"
The excellent article assited me very much! Saved the site, extremely great topics just about everywhere that I read here! I appreciate the info, thanks. Excellent sharing.You shared a really good information.Thank you and keep sharing...It is extremely helpful for me. I am so glad to see this. Meat definitely needs to be cooked to a certain point. This is not good for you when it is not cooked to this point. One of the best articles i have read.I Like your effort and hardworking. after surfing many sites, i have found something informative.Thanks for this addition. Wonderful blog post. That is what I was searching for. I really like your blog and I appericiate your efforts. Your article is very helpful for me and many others to work out. I will definitely come back on your site for more stuff. Good Luck for the future posts. Great work you have shared here really informative to me have a great effort you have shown here. Protection Concepts is 100% committed to the protection of what matters most while maintaining the highest level of customer service and integrity in the industry. And also offer the most innovative technology available today and specialize in both residential and commercial security systems, installation and monitoring, with monitoring starting at just $14.95 per month! Lloyd Security Video Monitoring solution lets you see what's going on at your property, even when you're not there. Now, you can see who's pulling in the driveway, get a video alert when someone comes through the front door or just check in to see how your favorite pet is doing. This blog is very interesting and too informative. I enjoyed to visiting your blog. You have done really nice job. Keep it Up! Thanks for give United States of America these distinctive pointers it's very useful for everybody. This can be terribly attention-grabbing and too informative. This is very nice informative blog in which you discuss about graduate level creative writing. This looks absolutely perfect. All these tinny details are made with lot of backgound knowledge. I like it a lot. Keep on taking action. We appreciate you your main posting. This question passion all of us very much and even on account of people, Write-up gained knowledge cutting edge elements. It had been worth it to read. Thanks. Htc bravo. Your house is. Wow, Great content here! I will bookmark this site and return in the future to read more of your social media posts!Thanks! Read your share. I gain a great deal. Thank you for sharing. I also share some of my story. If you are interested you can visit. You have done really good job. I'm happy to find this website. I would like to say thanks for sharing such a nice article. Keep it up. Its such a nice one you gave here .I am glad to have found this blog. What an awesome post it is. I learnt lots of new things from it. I wish to see such informative posts in future as well. The amount of information in here is stunning, like you practically wrote the book on the subject. Your blog is great for anyone who wants to understand this subject more. It is important to shower after each workout at the gym. A simple towel will not rid the bacteria which can cause irritation and clog your pores.Use warm water to open up your shower. This drop is due to changes in brightness which the body is exposed to every mid-season, these changes have an impact on hormones. The seasonal fall lasts about six weeks and is more important in the fall (September-October). the fall is generally lower. 2BHK Apartments in Bangalore, bangalore5, 2bhk apartments for sale in Bangalore, 2bhk apartment in Bangalore, Bangalore property. information in the site R Analytics Online Training with free Demo class in USA | UK | INDIA | SINGAPORE | Australia | Canada. and also WSS is committed in providing scalable and reliable world-class IT recruitment/talent acquisition services customized as per clients. Firmamız Türkiye genelinde yapmış olduğu epoksi zemin kaplama uygulamaları ile sektörde seçkin firmalar arasında yer almaktadır. Bünyesinde barındırdığı uzman ekipleri ve teknik kadrosu ile epoksi zemin kaplama sektöründe estetik, sağlam, hesaplı ve güvenli hizmet düşüncesiyle ile çalışmaktadır. epoksi zemin kaplama faaliyetlerindeki değişiklikleri ve güncel gelişmeleri bünyesine kolaylıkla adapte edebilen firmamız; gün geçtikçe kendini geliştirmekte, ürün yelpazesini genişletmektedir. Interesting. How would we find out what the 25 stories are. I write a fitness blog called My Weave and this is something that would be interesting as well to my readers. The SENS Research Foundation (Strategies for Engineered Negligible Senescence Research Foundation) is a 501(c)(3) non-profit organization co-founded by Michael Kope, Aubrey de Grey, Jeff Hall, Sarah Marr and Kevin Perrott, which is based in Mountain View, California, United States. Its activities include research programs and public relations work for the application of regenerative medicine to aging. Before the Foundation was launched in March 2009, the SENS research program was mainly pursued by the Methuselah Foundation, co-founded by Aubrey de Grey and David Gobel. The MFA Blog is designed to help potential graduate students in their search and application process for MFA creative writing programs. Use the search tool above to find a wealth of information. 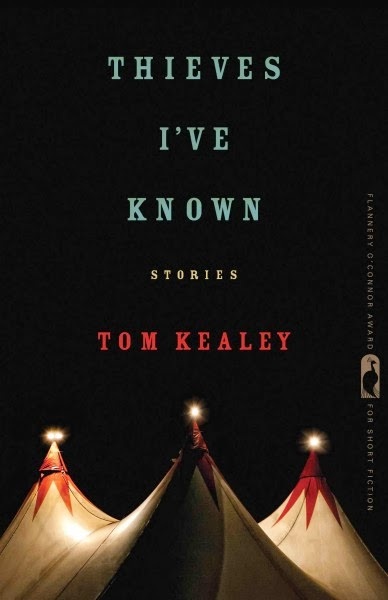 Thieves I've Known is the Flannery O'Connor Award winning story collection from Tom Kealey, named by NPR as one of 2013's Best Reads. Read more about the collection on the author's website, or purchase via Powell's, Amazon, or Barnes and Noble. 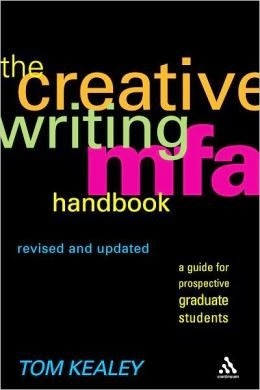 The Creative Writing MFA Handbook: A Guide for Prospective Students, by Tom Kealey (with essays by Seth Abramson, Erika Dreifus, Adam Johnson, and Ed Schwarzschild) is available from Continuum Publishing. The Handbook offers an overview of the graduate writing experience, profiles and rankings of more than fifty creative writing programs, advice about the application process, and insight into making the best choice of programs. There is a comprehensive list of all graduate writing programs, both in and outside the United States, a list of helpful sources on and off-line, and interviews with teachers and students, including George Saunders, Aimee Bender, Geoffrey Wolff, and Tracy K. Smith.